After finding out when “The Pinkprint: The Nicki Minaj Concert Movie” will be premiering on BET yesterday, a trailer for the film has now been released. The movie will include footage of the Young Money Barbie performing live on her 2015 “The Pinkprint Tour”, as well as sit-down interviews. You can watch a sneak peek of “The Pinkprint: The Nicki Minaj Concert Movie” after the jump below. Be sure to tune into BET on New Year’s Eve to see the full film! BET previously announced that they will be releasing a film titled “The Pinkprint: The Nicki Minaj Concert Movie” based on Nicki Minaj‘s “The Pinkprint Tour” back in 2015. Stephen Hill and the Young Money Barbie herself have now both revealed on Twitter that the movie will premiere on BET at the end of this month on December 31st. 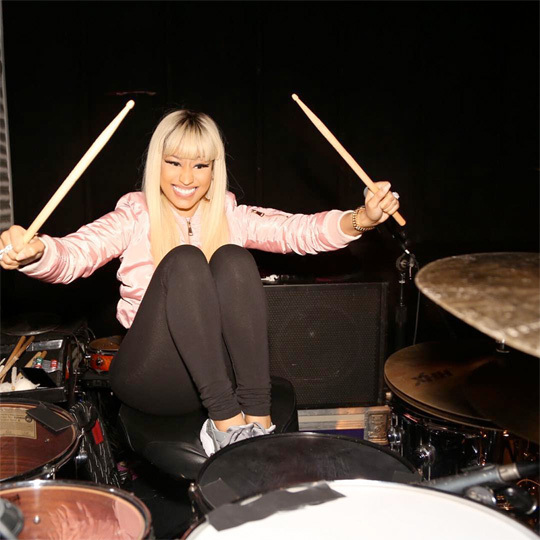 Who will be watching the “The Pinkprint Concert Movie” on New Year’s Eve? At the end of January, we found out that Nicki Minaj will be bringing her “The Pinkprint Tour” to South Africa this month. Due to the Johannesburg date being sold out, Nicki has added a second date (March 18th) for fans to go and see her. This now means that the Young Money Barbie will be performing live at the Ticketpro Dome in Johannesburg on March 17th AND 18th. 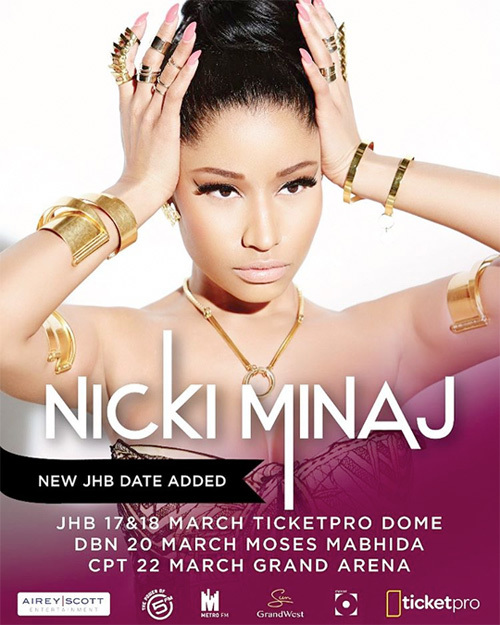 Minaj will still be performing in Durban on March 20th and in Cape Town on March 22nd! Nicki Minaj has announced that she will be bringing her “The Pinkprint Tour” to South Africa in a couple of months. The Barbie will be performing at the Ticketpro Dome in Johannesburg on March 17th, at the Moses Mabhida Stadium in Durban on March 20th, and at the GrandWest Casino & Entertainment World in Cape Town on March 22nd. Click here to view more details and order your tickets for Nicki‘s show in Johannesburg, here for her concert in Durban, and here for her show in Cape Town! DeJ Loaf stopped by Hot 97 last week to chop it up with Peter Rosenberg and Laura Stylez on the “Ebro In The Morning” show. At the end of their interview at the 22:10 mark, DeJ confirmed that herself and Nicki Minaj have some “stuff” coming out, which they worked on together while on “The Pinkprint Tour“. 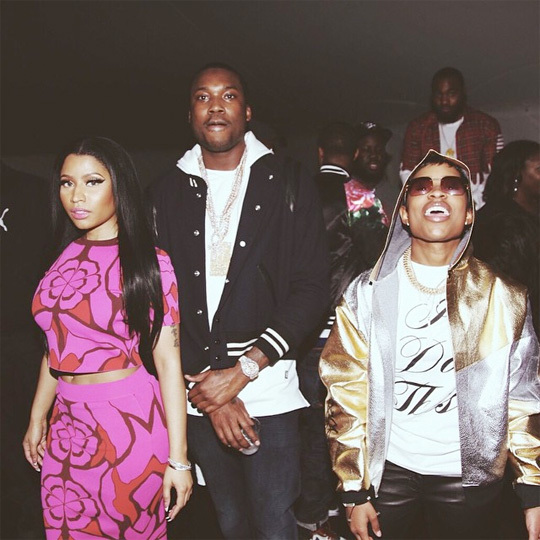 Loaf also spoke on how awkward it was being around Meek Mill while on “The Pinkprint Tour” as that was when his beef with Drake had just started up. You can watch the full conversation after the jump below! On Saturday, September 26th, BET will be airing a special called “The Pinkprint: The Nicki Minaj Concert Movie” on their television network at 10P/9C. You can check out a trailer for the special after the jump below. The BET special will include footage from Nicki‘s “The Pinkprint Tour” when it stopped at the Barclays Center in Brooklyn, New York on July 26th, which also included Minaj bringing out her boss Lil Wayne. In related news, don’t forget that BET Networks will also be airing their “The BET Life Of Nicki Minaj” docuseries later today at 9PM!